Emil Soorani, M.D. (Santa Monica) - Book Appointment Online! Please Note: This is a fee for service. Please expect a phone call from our practice to discuss payment and treatment options. Please Note: We only accept children above the age of 13. 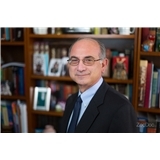 Emil Soorani, MD is a Psychiatrist with 33 years of experience in psychopharmacology. He specializes in Mood (Depression/Bi-polar), Attention Deficit Hyperactivity Disorder (ADHD), Anxiety, PTSD, Pain Management, Complex Medical Issues, Neurological disorders, Parkinson's Disease as well as various dementias. He treats teenagers, young adults, and geriatric patients. He is also Medical Director for Westside Neurotherapeutics where he oversees DTMS therapy (Deep Transcranial Magnetic Stimulation), a non-pharmaceutical treatment for Major Depressive Disorder. Patients undergo treatment sessions 5 days a week for 4-6wks. Dr. Soorani is worth the wait. I did wait over 30 minutes at times, but its just because he really spends quality time with his patients and he knows what he's doing. Ive had anxiety issues for years and they came flying back and had their way with me until Dr. S came in and helped. I cant say how much i recommend Dr. S. He's great at what he does. He's made me feel my old self again and even better (no dips!). I cant even say how much time he spent w me on my first appointment bc i woudlnt want everyone to expect it or be dissappointed if he didnt, but he just loves what he does and has sincere compassion for his patients. I'm so greatful for Dr. Soorani.